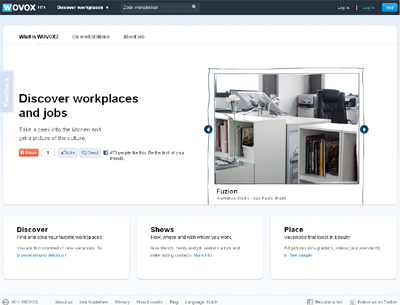 Discover workplaces, show yours and post awesome-looking job openings on WOVOX.com. Our mission: connect people to work(places) they love! We bring transparency to the workplace, you can summit reviews and add content to your other people workplaces.